Rocket League Players Now 25 Million and Counting! The number of Rocket League players has reached a record 25 million, according to an announcement made by the game’s developer, Psyonix. This is a huge jump from the 22 million player mark the developer announced back in November. Psonix also reported that over 1 billion matches were played since the game’s release way back in summer of 2015. Majority of games played are Competitive games (50%), while Casual games come in at second (33%). Alternative modes like Rumble, Hoops, and Snow Day are at 11%, while Private Matches are at 6%. 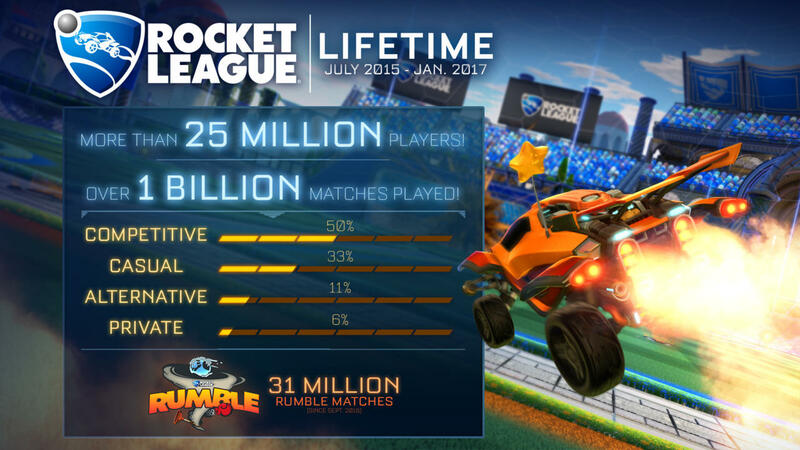 Rumble Mode specifically received a special mention with 31 million matches held since it was first introduced in September 2016. 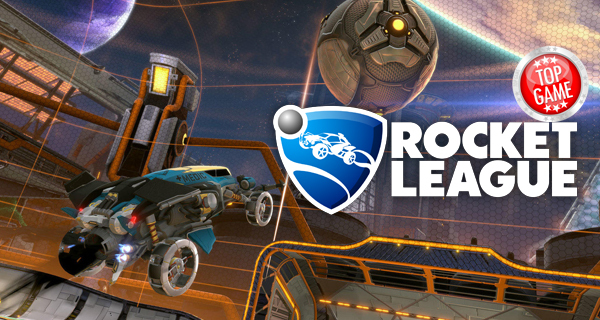 Rocket League continues to soar as it was named as Steam’s top-grossing title in 2016. It is also the top-selling game of 2016 in the Playstation Store.